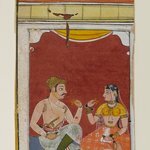 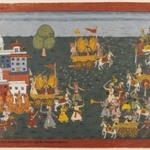 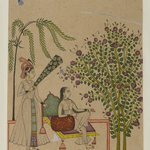 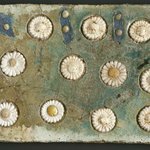 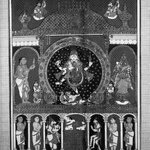 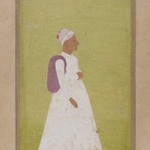 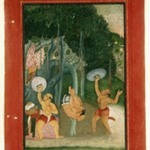 Ragamala subjects were not as popular among South Indian painting patrons as they were among their counterparts in the north. 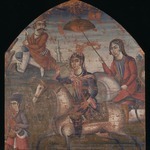 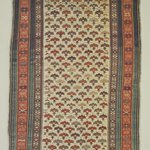 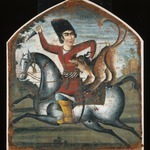 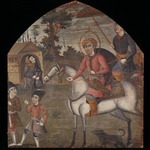 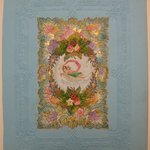 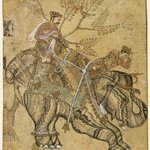 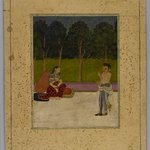 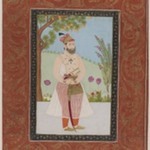 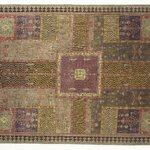 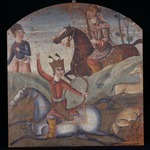 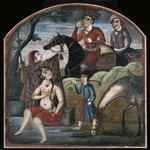 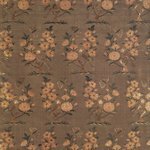 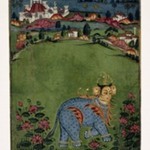 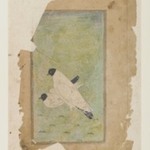 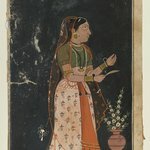 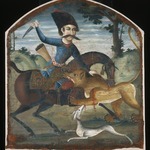 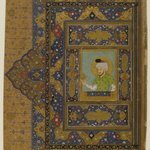 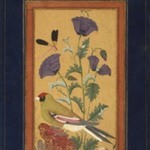 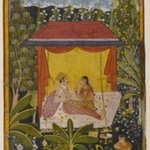 This relatively rare example of a southern ragini painting reflects considerable Persian influence in its use of multiple, layered patterns and a hilly, grass-tufted background. 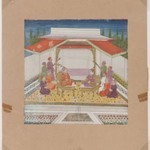 However, the subject, women relaxing in a luxurious setting, is typical of Indian paintings, which often offer imagined views of the forbidden world of the zenana, or women’s quarters of a palace. 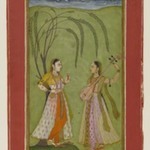 The central woman is holding a vina, astringed instrument similar to a sitar. 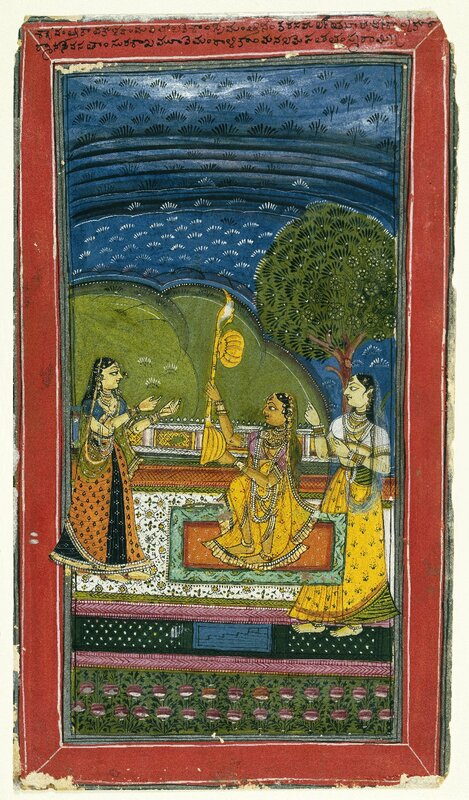 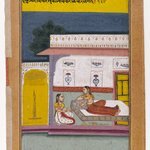 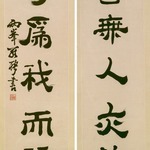 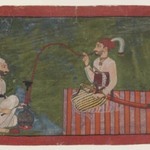 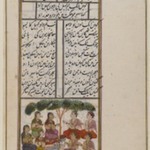 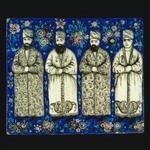 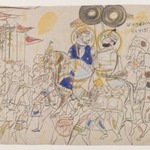 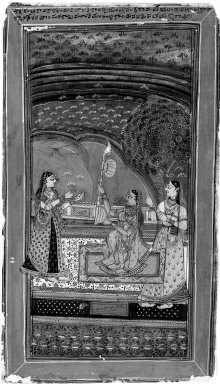 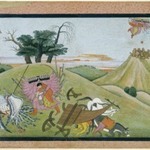 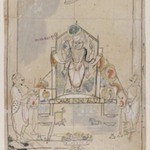 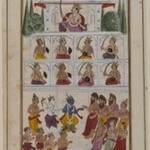 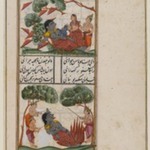 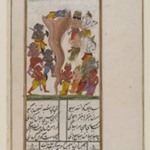 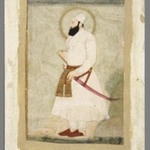 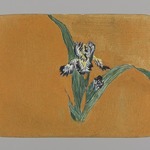 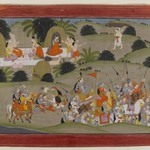 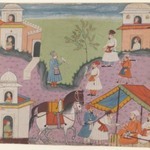 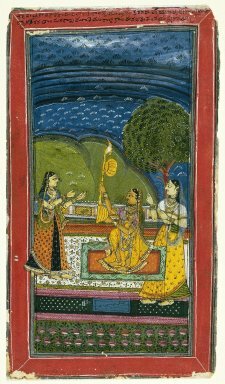 Ragamala paintings often contain small references to the music that inspired them.